Profit Nov 22nd, 2018 $1.08 Shopping Cart Payment. Withdraw to allhyips from Onix Venture Ltd.
Profit Nov 21st, 2018 $1.08 Shopping Cart Payment. Withdraw to allhyips from Onix Venture Ltd.
Profit Nov 20th, 2018 $1.08 Shopping Cart Payment. Withdraw to allhyips from Onix Venture Ltd.
Profit Nov 19th, 2018 $1.08 Shopping Cart Payment. Withdraw to allhyips from Onix Venture Ltd.
Profit Nov 17th, 2018 $1.08 Shopping Cart Payment. Withdraw to allhyips from Onix Venture Ltd.
Profit Nov 16th, 2018 $1.08 Shopping Cart Payment. Withdraw to allhyips from Onix Venture Ltd.
Profit Nov 15th, 2018 $1.08 Shopping Cart Payment. Withdraw to allhyips from Onix Venture Ltd.
Profit Nov 13th, 2018 $1.08 Shopping Cart Payment. Withdraw to allhyips from Onix Venture Ltd.
Profit Nov 11th, 2018 $1.08 Shopping Cart Payment. Withdraw to allhyips from Onix Venture Ltd.
Profit Nov 10th, 2018 $1.08 Shopping Cart Payment. Withdraw to allhyips from Onix Venture Ltd.
Profit Nov 9th, 2018 $1.08 Shopping Cart Payment. Withdraw to allhyips from Onix Venture Ltd.
Profit Nov 8th, 2018 $1.08 Shopping Cart Payment. Withdraw to allhyips from Onix Venture Ltd.
Profit Nov 6th, 2018 $1.08 Shopping Cart Payment. Withdraw to allhyips from Onix Venture Ltd.
Profit Nov 5th, 2018 $1.08 Shopping Cart Payment. Withdraw to allhyips from Onix Venture Ltd.
Profit Nov 4th, 2018 $1.08 Shopping Cart Payment. 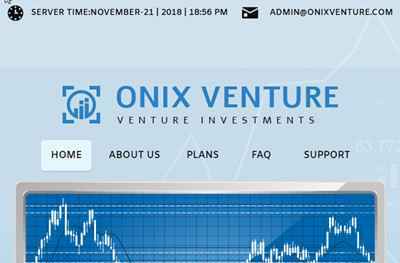 Withdraw to allhyips from Onix Venture Ltd.
Profit Nov 2nd, 2018 $1.08 Shopping Cart Payment. Withdraw to allhyips from Onix Venture Ltd.
Profit Oct 31st, 2018 $1.08 Shopping Cart Payment. Withdraw to allhyips from Onix Venture Ltd.
Profit Oct 29th, 2018 $1.08 Shopping Cart Payment. Withdraw to allhyips from Onix Venture Ltd.